The mayor told Bild later in the day that “we don’t know how seriously we must treat this bomb threat.” A town official also told the tabloid that the caller had linked his threat to the canceled visit of Bekir Bozdag, the Turkish justice minister who pulled out of his scheduled trip to Germany. Citing “security concerns,” the town of Gaggenau on Thursday withdrew the permission for him to speak to his countrymen. Bozdag was due to be a guest speaker at a rally scheduled by the Union of European Turkish Democrats in Gaggenau on Thursday. The decision was made hours before the event organized by the Union of European Turkish Democrats (UETD) was due to be held. Following the Gaggenau authorities’ decision, the city of Cologne separately canceled another UETD-run event, at which Turkish Economy Minister Nihat Zeybekci was due to speak on Sunday, saying the city was unable to ensure participants’ safety at short notice. The moves have sparked fury in Turkey, only adding to a growing flare-up between Ankara and Berlin. The Turkish Foreign Ministry summoned the German ambassador to express “our discomfort and our reaction to these developments,” according to AFP citing a senior Turkish official. 2/Her fırsatta Türkiye'ye demokrasi ve ifade özgürlüğü dersi vermeye çalışanların gerçek yüzü bu tür kararlarla açık şekilde ortaya çıkıyor. 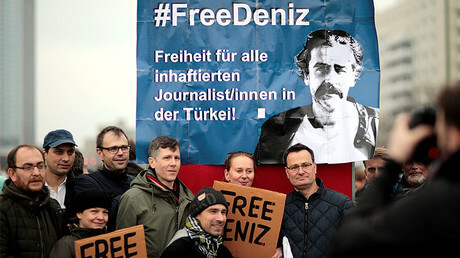 It is unacceptable “that German authorities, who constantly lecture us about human rights, democracy, rule of law, free speech do not tolerate a meeting organized by the Turkish community,” he added. Bozdag also cancelled his meeting with the German justice minister after the town’s decision, and is returning back to Turkey. German Justice Minister Heiko Maas has stepped in the spat, reportedly sending a letter to his Turkish counterpart Bozdag. “This decision has struck me, and I consider treatment of Mr. Yucel disproportionate, especially due to the fact that he had voluntarily made himself available to the Turkish judiciary,” Maas wrote in a letter accessed by Spiegel. He also demanded the immediate release of the journalist. 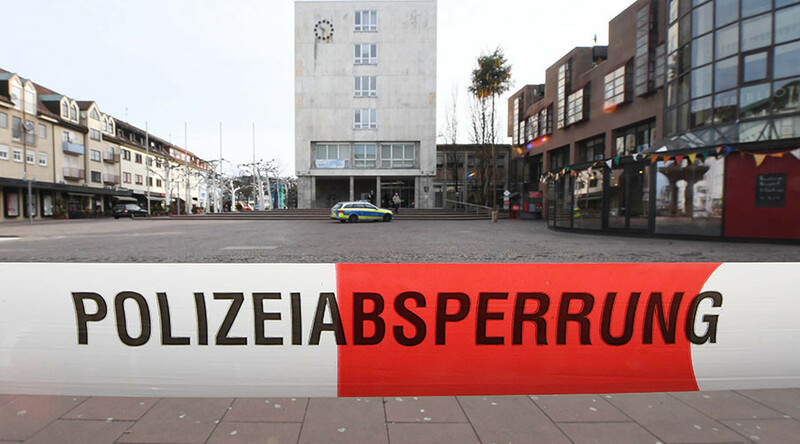 Later in the day, Gaggenau police said in a statement the bomb disposal unit searched the town hall building with two sniffer dogs. “After extensive investigations, nothing suspicious was found in the building,” they said, adding that it launched an investigation into the unknown caller.